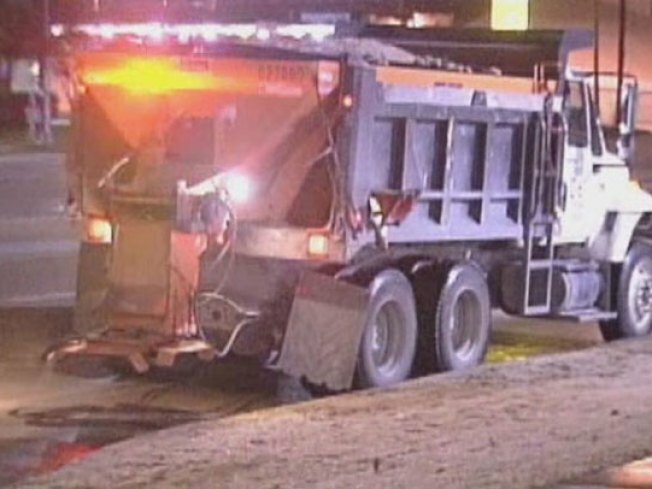 The city of Dallas prepared to launch 30 sanding trucks to prep bridges and overpasses early Monday morning. The first week of 2009 brought cold, wet conditions to North Texas and left thousands without power. Fallen branches and power lines caused power outages across the area. At least 48,000 families were without electricity Monday night. Oncor Electric scrambled Monday night to restore power. "When ice and freezing rain land on power lines, it weighs them down and nearby trees down, causing outages," Oncor spokeswoman Megan Wright said. A lot of people are blaming the sudden drop and then rise in temperature for making them sick. One crew planned to work through the night to get the lights back on in one neighborhood near Abrams Road in Dallas. In Midlothian, one of the areas hardest-hit by the ice, ice coated nearly every tree. Some said they still enjoyed the change in pace from Saturday's 80-degree weather. "I could look at it every day as long as the roads aren't iced over," Heather Mangrum said. "I love it. It just makes it feel like wintertime." NBC 5 meteorologist James Aydelott said rain is possible Tuesday morning, but freezing rain is not expected. It didn't take long for temperatures to dip below freezing Monday morning. While the ground temperature kept the rain from turning to ice on the roads, icicles did form on guardrails and street signs. A Freezing Rain Advisory issued by the National Weather Service was canceled Monday evening for all of North Texas. Arriving flights at Dallas-Fort Worth International Airport were delayed about an hour and a half Monday morning. During the day, travelers were delayed 20 to 45 minutes so planes could be de-iced, and 67 flights were canceled. Airport concession areas stayed open late Monday because of late flights. After the warmer weather this past weekend, drivers said they weren't expecting the weather to be so frigid. "It's a surprise. You wake up today and it is like it is, and it might be 100 degrees tomorrow," said Kimberly Harris, a Fort Worth resident. "You just kind of get used to it." The weather may push back trash days in Dallas. The city said residents should leave roll carts and bags at the curb. Residents will not be ticketed. The city said trash pick-up schedules should be back to normal by Wednesday.